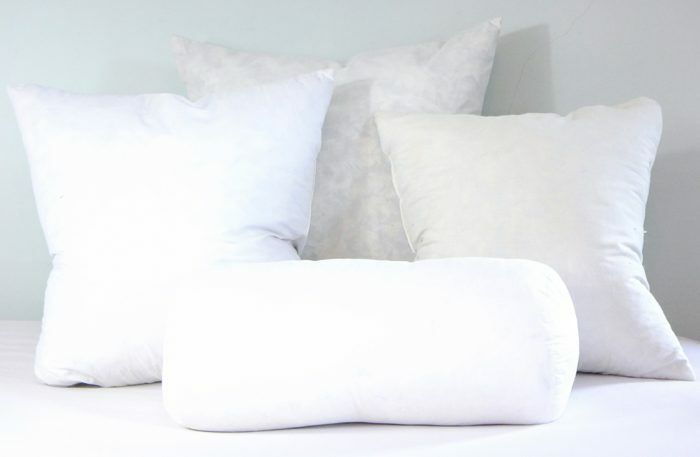 Once you buy the pillow, remove the cover (you should probably do it outside where you don’t have to worry about the dusty stuff) and stick the pillow in the washing machine. 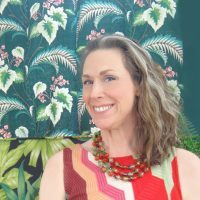 Long ago, I worked at an upscale bedding boutique (before the days of the internet and before Bed, Bath and Beyond). We specialized in high quality Canadian goose down products. We learned from the company manufacturing those goose down products to never use soap when laundering down, and that dry-cleaning is not necessarily the best way to go. The soap or dry-cleaning chemicals cling to the down, giving it extra weight, and causing the down to be less fluffy. So, do NOT use soap, just use HOT water. Hot water should be enough to kill anything alive in there (ew 🙂 ). 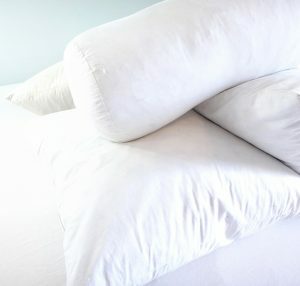 Then put the pillows in the dryer for a LONG, LONG time. The down/feathers have to be completely dry or ick will grow in them. 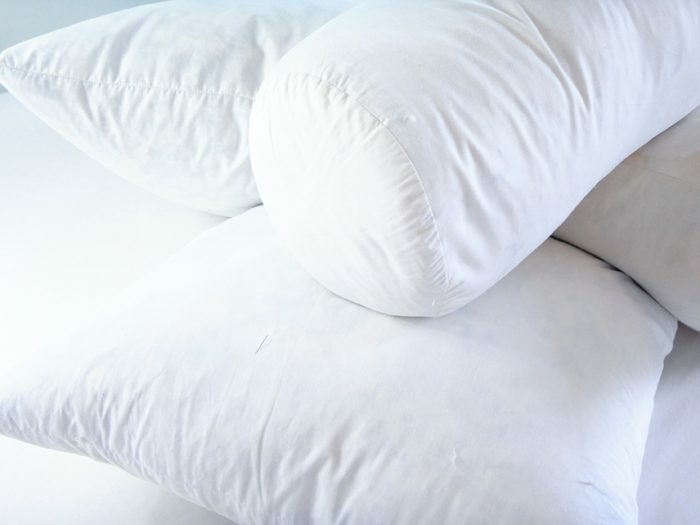 Use dryer balls or tennis balls, and take the pillow out to fluff it during the dry time, making sure the whole pillow interior is getting dry. Once I am convinced they are dry, I leave them on the drying rack for a few days… Then throw them back in the dryer for another hour just to be sure. 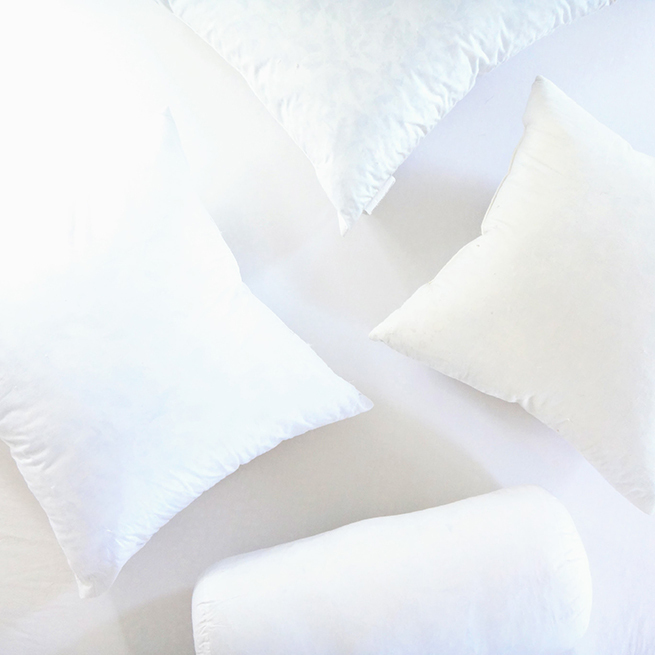 Right now I have a lot of pillows to make – I haven’t updated my pillow-look for years. It is a good thing I have plenty of down pillow inserts, thanks to brave thrift-store squeezing. You can do it too!